I've been meaning to get stuck into some similar retro 80s work for ages and this was a perfect challenge. I have a new radio show starting soon called 'Night Call'. I set about watching this course and constructing the main graphic for the show based around the tips and techniques shown here. The first step was to figure out some suitable type for the main logo. I finally settled on a combination of Microgramma and Lazer84. Then it was onto mapping out the general shape of things. 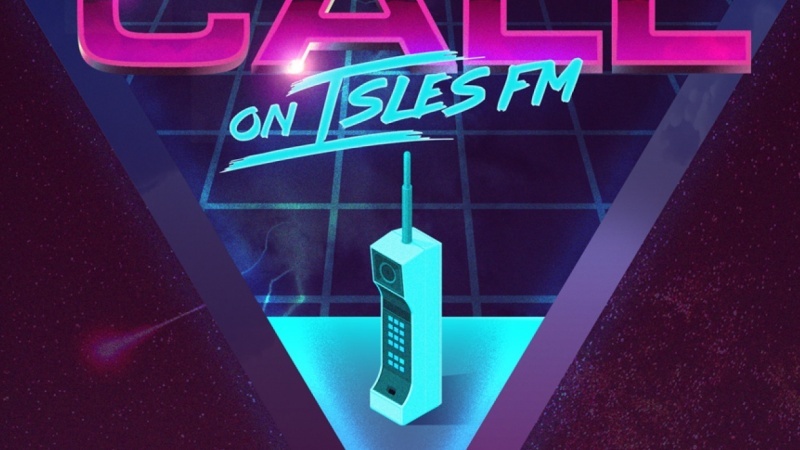 I grabbed a stock vector of an old 80s mobile phone and began mapping out further where the flat vector elements would go. Then time to add the chrome effect element to the 'Night Call' text. Then it was time to bring it all into to photoshop and start refining the graphic. Along the way, I borrowed some nice images from Unsplash including a Lightning Strike, a lens flare, a starry night and full moon image and some lovely deft clouds. Super chuffed with how it turned out. Thanks very much, James for some great tips!